Fabienne Verdier meets Sigmar Polke. 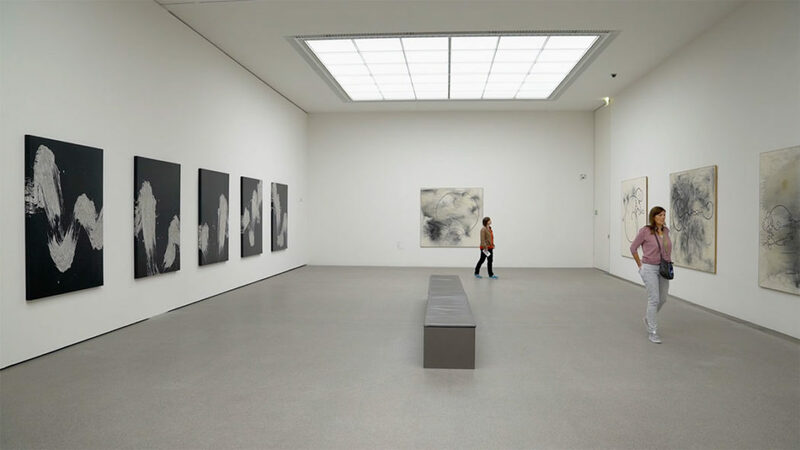 I am delighted to take part in an exhibition with Sigmar Polke in the newly restored rotunda gallery of the Pinakothek der Moderne in Munich. Entitled Talking Lines, the show presents a series of eight works by Polke engaging with Albrecht Dürer’s Loop Cycle in productive juxtaposition with the seven-piece Mélodie du Réel series I originally made for the 2014 Königsklasse II exhibition, later acquired for the Bayerische Staatsgemäldesammlungen with the support of the International Patrons of the Pinakothek. “In the 20th century, abstract lines became a subject in their own right in Western art. This occurred, for one thing, over the course of developments within abstract art. Points, lines, and surfaces were abstracted from the representational world or fully detached from it from the outset and started to be employed in compositions for their own sake.